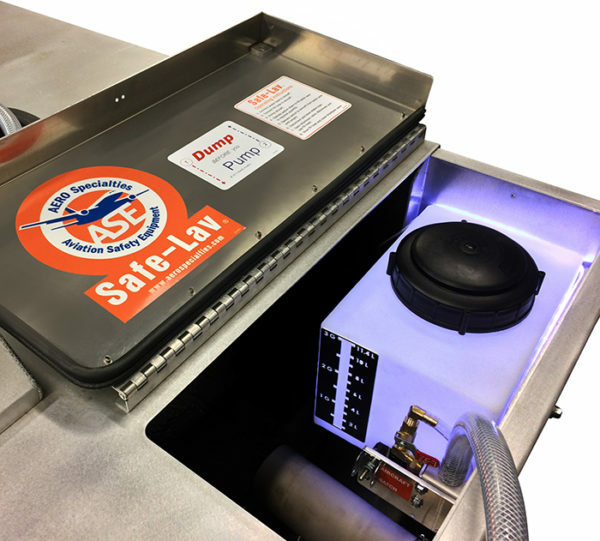 AERO’s patented “Safe-Lav” system utilizes a dedicated batching tank to determine and restrict the maximum quantity of fluid that can be delivered to the aircraft lavatory system. 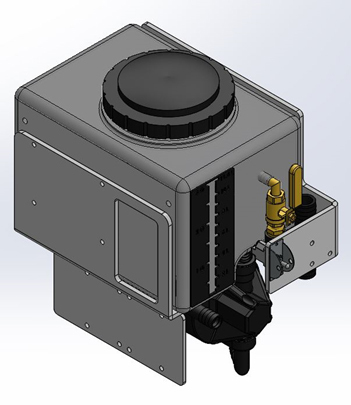 Our direct-reading tank & delivery system is unaffected by inaccurate or broken flow meters (which are the leading cause of messy lav system overfills). 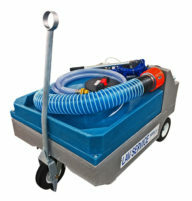 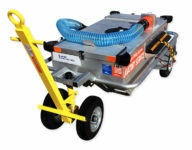 The RJ1 model “Safe-Lav” conversion kit can be added to any existing AERO Specialties LC60-RJ1 series lavatory service cart (AERO Product ID: 2001021).